This page is a summary of the UEFA European Championship qualifying, the process that UEFA-affiliated national association football teams go through in order to qualify for the UEFA European Championship. Since 1960, European Championship final tournaments have been contested in the summer of every fourth year. The qualifying procedure for each final tournament has usually included qualifying matches held during the two years preceding that year (for example, the Euro 2016 qualifying spanned from September 2014 to November 2015). In this article, the years correspond to the final tournaments of the European Championship, and not to the actual dates when the qualification matches were played. ^ a b Data is about qualifications only (automatic qualifiers are not counted). The 1960 and 1964 qualifications consisted of a knock-out tournament only. The four quarter-final-winning teams would qualify for the final stages, and one of them would be chosen to be the host of the tournament. The 1968, 1972, and 1976 qualifying tournaments included a group stage of eight groups. The eight group winners would advance to a quarter-final stage, which was still part of the qualifying. The four quarter-final winners would progress to the finals. Again, the host nation would be chosen among the four finalists. From 1996, the 16-team format was employed. The 1996 qualifying consisted of eight groups; the eight group winners and the six best runners-up would qualify directly, while the two worst runners-up would meet in a play-off to determine the last team to earn a spot in the finals, joining the host country. In 2000, the winners of the nine qualifying groups would qualify for the finals, and so would the best runner-up. The remaining eight runners-up would enter a play-off round, where they would be paired off against each other; the winners of each pairing would qualify too. For the first time, there were two host countries; they both received automatic berths in the finals. In 2004, along with the host team, the ten qualifying group winners would qualify, as would the winners of each of the five play-off ties which would be contested by the ten runners-up. In 2008, the top two teams from each of the seven qualifying groups would join the two host teams to bring the number of finalists to 16. The 2012 qualification used a format similar to that of 2000: spots would be given to nine group winners and the best runner-up, and the remaining eight runners-up would enter play-offs to determine the remaining four finalists, with automatic berths being guaranteed to the two host countries. From 2016, the finals format was expanded again, now featuring 24 teams. The 2016 qualifying included nine groups; the winners, the runners-up, and the best third-placed team would qualify, while the remaining eight third-placed teams would form four play-off pairings to determine the last four finalists. The host nation would still qualify automatically. For the 2020 finals, hosted by multiple cities across Europe, there would be no automatic qualifying berths. 20 of the 24 qualifying places would go to the winners and runners-up of the ten groups of the 2020 qualifying, while the remaining four would be determined via play-offs. Participation in those play-offs would be determined based on the teams' performances in the newly formed UEFA Nations League and not in the qualifying itself. From each of the four divisions of the 2018–19 Nations League, the four best-placed teams not yet qualified for Euro 2020 (the group winners, unless already qualified) would advance to a four-team play-off for that division using a knock-out system of semi-finals and a final. The four final winners would qualify for the Euro main tournament. All national teams that are members of UEFA are eligible to enter the qualification for the European Championship. 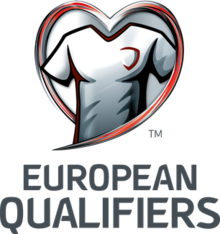 A total of 56 distinct entities have made attempts to qualify for the European Championship. Of those, 55 are still active in the competition. Due to political changes, a few of the entities have appeared under multiple incarnations (see the footnotes to the below table), and the East Germany team is now defunct. Saarland, a former UEFA member, merged into West Germany in 1957 and therefore did not enter the qualifiers of any European Championships. Czech Republic from the 1996 qualification onwards. Russia from the 1996 qualification onwards. ^ East Germany entered the 1992 qualification, but withdrew before playing any matches, joined West Germany, and since then competes as part of the reunited nation of Germany. ^ a b c d e f g h i j Armenia, Azerbaijan, Belarus, Estonia, Georgia, Kazakhstan, Latvia, Lithuania, Moldova, and Ukraine previously competed as parts of the Soviet Union (1960–1992). All of them except Estonia, Latvia, and Lithuania also competed in the Euro 1992 finals as parts of the Commonwealth of Independent States. ^ a b c d e f Bosnia and Herzegovina, Croatia, Kosovo, Macedonia, Montenegro, and Slovenia previously competed as parts of SFR Yugoslavia (1960–1992). Kosovo and Montenegro then competed as parts of FR Yugoslavia/Serbia and Montenegro (2000–2004). Kosovo then competed as part of Serbia (2008), before unilaterally declaring independence from it in February 2008 and eventually being admitted to UEFA in May 2016. ^ Slovakia previously competed as part of Czechoslovakia (1960–1992). Up to and including the UEFA Euro 2020 qualifying matches played on 26 March 2019. Like the table at RSSSF's website, this table does not take into account the Austria vs Greece Euro 1968 qualifying match. RSSSF reports that this match was abandoned at 1–1 and declared void, and does not include it in the final group standings. On the other hand, however, UEFA's website accounts the match as having finished as a 1–1 draw and includes it as such in the final group standings. In the Euro 2016 qualification, Serbia were deducted 3 points and Croatia were deducted 1 point, which is reflected in the table. ^ Only qualifying campaigns are counted where the team played at least one match. Note 1992: Yugoslavia won their 1992 qualifying group and were due to compete at UEFA Euro 1992, but were banned from participating as the country was under international sanctions by the United Nations Security Council Resolution 757 because of the Yugoslav Wars. The sanctions also resulted in the team being banned from entering the 1996 qualification. Denmark, who had originally failed to qualify for the 1992 finals finishing second in Yugoslavia's qualifying group, were invited to replace Yugoslavia in the finals. In the tables in this article, the 1992 qualifying campaign is treated as successful for Yugoslavia and unsuccessful for Denmark. ^ "European Championship 1958-2008 All-Time Rankings. All-Time Table Qualifying Stages". RSSSF. Retrieved 26 May 2016. ^ "European Championship 1968". RSSSF. Retrieved 26 May 2016. ^ "UEFA EURO 1968 - History - Austria-Greece". UEFA. Retrieved 26 May 2016. ^ "UEFA EURO 1968 - History - Standings". UEFA. Retrieved 26 May 2016. ^ "United Nations Security Council Resolution 757 (Implementing Trade Embargo on Yugoslavia)". University of Minnesota Human Rights Center. Retrieved 27 July 2014.